Hancock Refrigeration offers commercial refrigeration sales, service, and installation work. We’ve been in business for 41 years and we continue to provide high quality service. 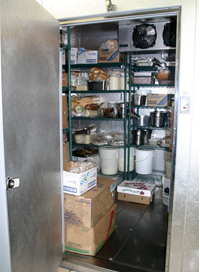 With our knowledge and experience, trust us to be your top source for all your commercial refrigeration needs. Call Mark or Brad of Hancock Refrigeration today at 301-475-8298 or 800-863-1259, or browse our website for more information regarding our residential heating and ac service or to view our testimonials. If you have any other questions or comments, please e-mail us.